Claire has had a stimulating and varied career, coming to Progressive Travel Recruitment from three years as a Senior Account Manager in a specialist Asset Finance and Leasing Recruitment Consultancy. Before that, she spent six years in the Met Police, working her way up to Trainee Detective in the CID. In her early career she spent 13 years in financial services. These positions have given her a unique insight into high-level decision-making and managing others. Claire loves to travel, thriving on new cultural experiences. She is about to marry a half-Portuguese and half-Peruvian man, so is planning her wedding, and also starting to learn Portuguese and Spanish. 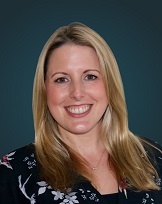 Claire is a consummate people person, with a passion for helping others, relishing the challenge of matching the perfect candidate with the perfect client. She also co-runs a Child Contact Centre, providing a neutral environment for parents and guardians to have contact with children from whom they are separated.